Holiday time in Columbus, Ohio, is a busy time indeed — the city is lit from within with good will, good food, and a few million Christmas lights. If you're planning to visit the Greater Columbus area this December, you won't want to miss some of the great celebrations, performances, and special events this Ohio city has to offer. While the weather may be chilly this time of year, you're sure to find something that's fun for the whole family during your trip — from dazzling old-timey luminaries in some of Columbus' oldest neighborhoods to holiday tours and special one-night performances. 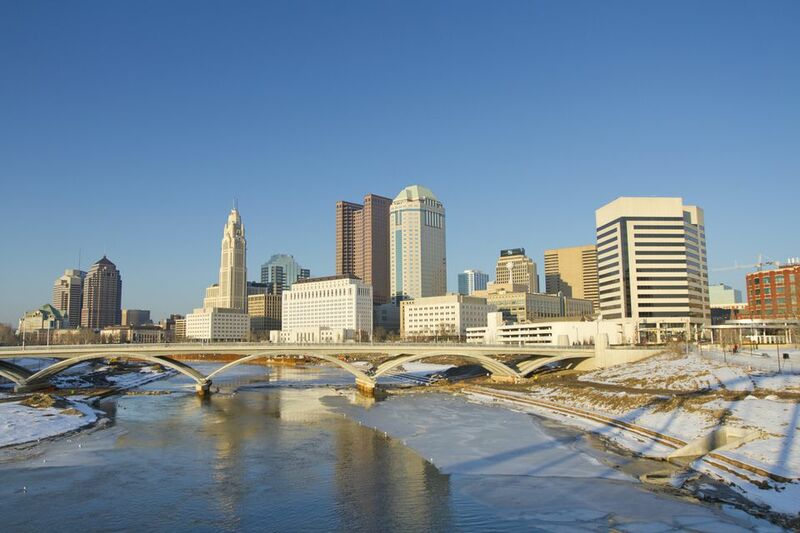 With a daily average of 35 degrees Fahrenheit, December in Columbus can be quite chilly, but temperatures can climb as high as 61 degrees and drop as low as 10 degrees Fahrenheit throughout the month, meaning you'll need to check the weather before you travel to see what you'll need to wear to be comfortable. Cloud coverage is pretty high throughout the month, with a majority of December experiencing mostly cloudy or overcast conditions. However, despite the cloud coverage, Columbus only sees seven days of precipitation throughout the month and rarely experiences snowfall that sticks around longer than a few days. Since the temperatures in December can fluctuate between relatively warm and extremely cold, you'll need to bring a variety of clothing to help you prepare for the winter conditions in Columbus. Consider packing a variety of clothing that can be layered including long and short-sleeved shirts, pants, sweaters, and even thermal undergarments as well as outerwear like scarves, gloves, hats, and a warm winter coat. Comfortable yet waterproof shoes with a good grip (to avoid slipping on ice or snow) are also necessary to ensure your comfort during your stay, especially if you plan on walking a lot during your visit. From festive holiday lighting displays to special seasonal concerts and live entertainment events, there's plenty to do in Columbus this December. Village Lights at the German Village: Hundreds of luminaries light up the streets for a special extended shopping day on the first Saturday of the month featuring holiday treats, special discounts, and fantastic gifts in the Historic German Village. Christmas at Capitol Square: Kick off the holiday season with the Holiday Festival and Tree Lighting at the Ohio Statehouse in downtown Columbus, which will also feature live entertainment, light snacks, and arts and crafts demonstrations. For the rest of the month, you can schedule tours of the Statehouse to see its halls decked out in Christmas cheer. Olde Hilliard Christmas: At the Historical Village at Weaver Park, visitors can find several chances to celebrate the holidays this season including performances of "A Christmas Carol" at the Hilliard Civic and Cultural Arts Center. Additionally, guests can tour the Historic Village, decorated with a dazzling display of Christmas lights, have Breakfast With Santa, or hop on an old caboose car for "Santa in the Caboose." Franklin Park Conservatory Christmas: Starting with the "Holiday Open House," the conservatory will be hosting a series of holiday-themed events throughout the month of December including special holiday performances, candlelight nights at the John F. Wolfe Palm House, Breakfast With Santa, and family ornament crafting demonstrations. Breakfast with Santa: The Longaberger Golf Club will host its annual "Breakfast With Santa" at the Overlook restaurant on what's become known as one of Ohio's best golf courses. In addition to a meet and greet with Santa Claus, guests will also be able to enjoy the build your omelet bar and a Christmas cookie decorating station for kids. Columbus Gay Men's Chorus Holiday Concert: Each year, this performance group returns to the King Avenue UMC for a holiday performance featuring holiday classics, children's songs, and a few twists to old favorites. Wildlights at the Columbus Zoo and Aquarium: Each December, the Zoo and Aquarium is decorated with holiday cheer and offers guest plenty of festive events throughout the month. Winterfair at the Ohio Expo Center: A weekend-long marketplace of contemporary crafts including ceramics, woodwork, glass creations, paintings, metalwork, jewelry, photography, and sculptures. Although early December is part of the off-season for tourism to Columbus, traveling during the last half of the month will cost more due to the large influx of holiday visitors. Be sure to check the weather before you leave your hotel in the morning as temperatures are known to fluctuate between warmer weather and below-freezing form day to day. Additionally, if you plan to stay out from day to night, you may need to carry extra layers of clothing with you — even if it's a warm day — since temperatures drop 10 to 20 degrees after dark.